Club Penguin Cheats by Mimo777 Club Penguin Cheats by Mimo777: Club Penguin Rockhoppin' News! 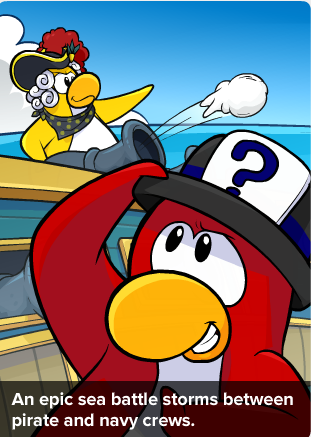 The Club Penguin Times has been released! 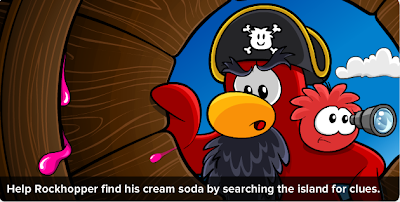 But, dood, where's Rockhopper's Cream Soda? 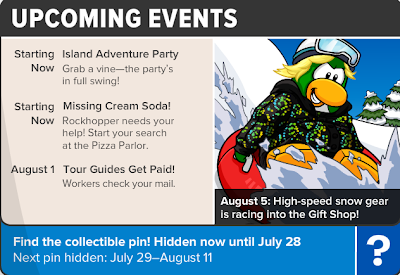 Be sure to find it by beginning at the Pizza Parlor! Cool sea battles await members! Be sure to check it out! Your gonna want to earn some coins before the new catalog comes out!